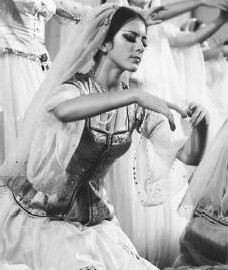 What is the secret of the instrument that was invented in Shiraz (Iran) but rather quickly wondered to Herat in Afghanistan and quickly concreting the hearts of the caucasus. In the small villages of Azerbaijan, people are still playing the Tar and listening to it’s magical sounds. They bring the tar close to their chest, as if they were trying to understand where are these sounds coming from, and where they go to. A strong clear sound, but also soft and cuddled. In Persia the melodies that were played on the Tar were known as a medicine for headaches, depression and insomnia. Playing for muscles relaxation was also quite common. The common faith was, that listening to the tar, enters one’s mind into a philosophical mood that would lead him or her to a deep wonder about life. Not only this, but in the Kabus Nama the following is mentioned: “For a man with apathetic mood, you should use the low notes, and for a man with bad and depressive mood you should better use the higher notes”. Different from other instruments such as Ney, Setar and the Daf, the Persian tar isn’t a very ancient instrument. It is common to estimate its age as we know today to around 250 years. Persian tar first shows in paintings from the Kajar era and Naser El-adi. At these times, musical pieces were adjusted from the persian radif (the biggest collection of music pieces and musical movements) to comply with the Tar structure. This became so popular so people started signing the songs that were made for the tar. The Persian tar has a close-far cousin, this is is Azerbaijani tar. The caucasian tar, saying ethnomusicologists, wandered to Azerbaijan at the end of the 18 century. 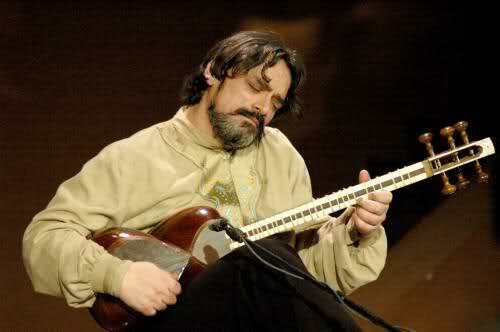 In the Azeri tar there are 11 strings, in compare to 6 in the Persian one. It also features a rather smaller bowl made of 1 piece, not 2. The Azerbaijani tar is played while holded very close to the chest, almost near the head. 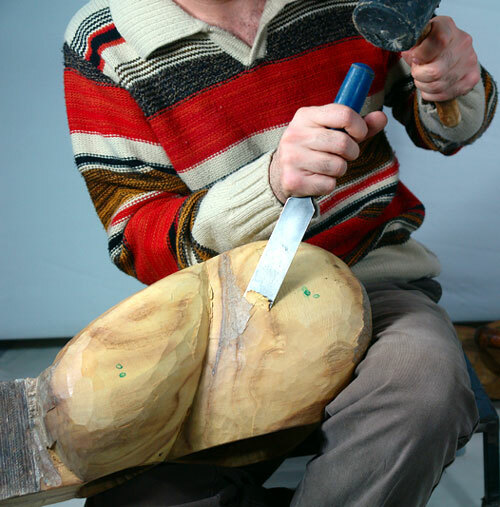 The special shaped sound box is made from walnut or mulberry wood, and on it lamp fetus skin is stretched. 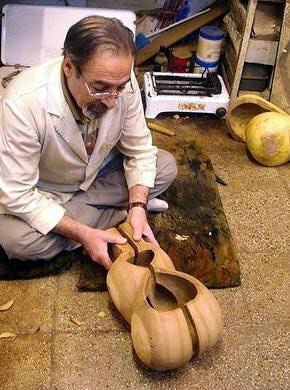 The small ‘bowl’ is called ‘Nakara’ and the large – ‘Shakam’. In the building process the maker will connect the 2 pieces into one piece and will add the neck and the peg box. the typical length of the neck is between 45 cm to 45cm. In a traditional way, the neck is decorated with 2 pieces of white stripes, made out of camel bone. The Persian tar has a range of 2.5 octaves. A tar player will tune the tar according the played dastgah that is being played. On the fingerboard are 25-28 frets that are made of lamb guts. Similar to other ethnic musical instruments the frets are movable, and are might be slightly different tuned. The tar is plucked with a unique plectrum made of an 7 alloy of metal. Its size is around 3cm. While in Azerbaijan a plectrum is simply made of ebony wood, and is slightly notched to allow better grip. Although the tar is quite of a modern instrument, a fertile culture has evolved around it rapidly. 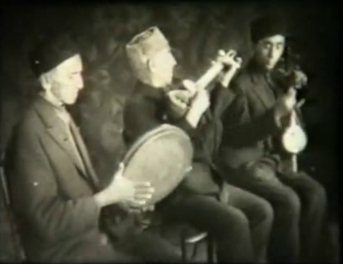 In Fact, the most famous persian musicians are Tar players. Here is a list of recommended tar players that you can listen to and have some inspiration. There are countless great tar players and we are sure we’ve forgotten some of them. Throw us some names in the comments below and we will soon add them to this page. Enjoy!